The free Disney Originals Toy Box Game Discs promotion is now live for residents in the United States. Simply purchase the digital copy of Disney Infinity 2.0, take a picture of your receipt, upload it all to the form and… done! 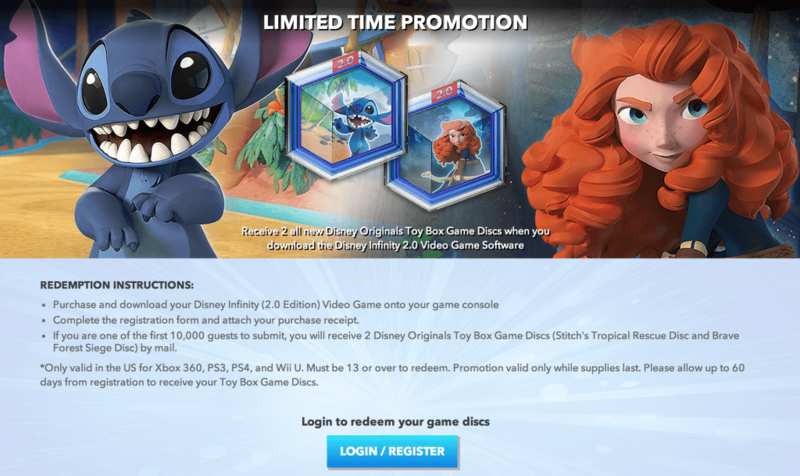 You will get the two Disney Infinity Disney Originals Toy Box Game Discs mailed to you. Once your submit the form, you’ll get a confirmation notice. Then within the allotted timeframe, Disney will send you out the discs! Remember, the digital copy is currently available for $19.99 for the PS3, PS4, and Wii U. While the Xbox 360 version is available for $29.99. Remember, this is only valid for the first 10,000 people! So time is of the essence! 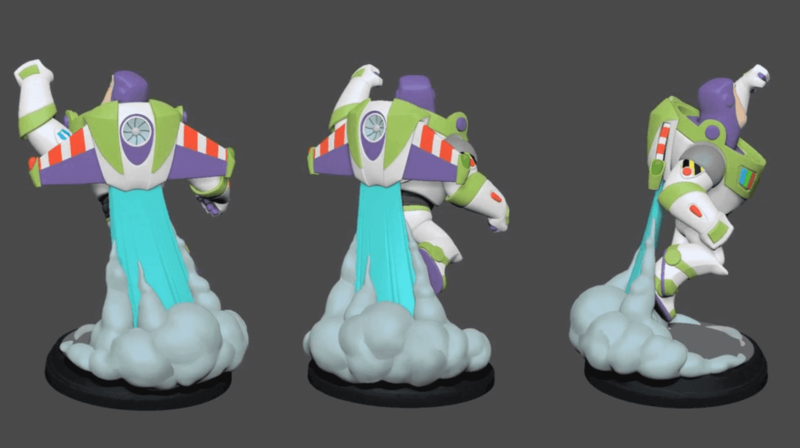 Head over to the Disney Infinity website to get all the information! Don’t forget, I am on Facebook, Twitter, and Instagram! Be sure to follow me on all of those to stay up to date!